Professor Dronsfield, an old friend of the WP, and Dr Ferguson (retired Consultant Anaesthetist) presented a double-act on this widespread drug. Ann told us about Leo Sternbach, the discoverer/inventor of valium: how, as a Jew, he escaped the Nazis in Central Europe and began a new life in the US working for pharmaceutical company Roche. Alan explained how, while here, he invented a series of tranquillisers, including diazepam, marketed as “Valium”, which is celebrated in the Stones’ Mother’s Little Helper. He stressed how luck and persistence were the key ingredients to Sternbach’s success, rather than “genius”: Einstein was right. A fascinating and wide-ranging afternoon: it’s really interesting when scientists such as Alan and Ann are able to combine technical chemistry with the history and social context behind important developments. 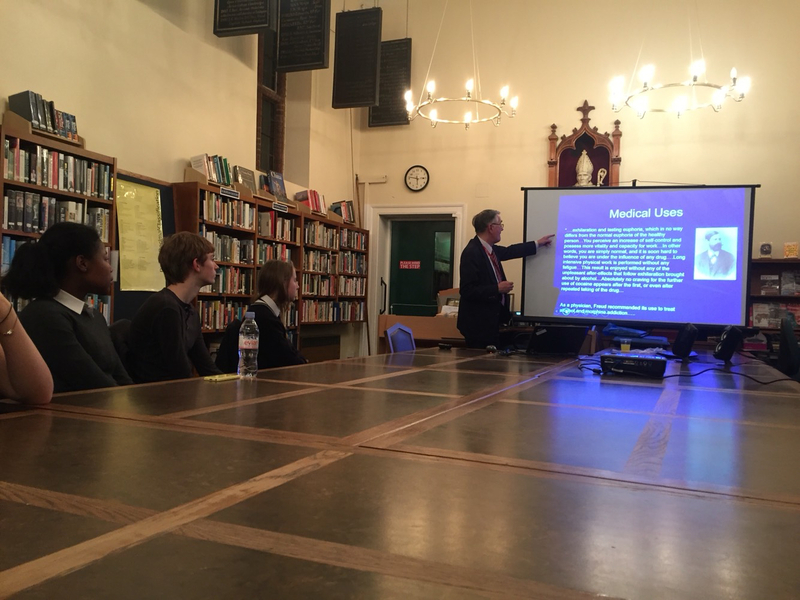 An old friend of the Williams Project, Professor Alan Dronsfield from the University of Derby, gave us two separate talks on medical history. The first, ‘To Sleep, Perchance to Dream – the early chemical history of anaesthesia’, set out the nightmare world of surgery before anaesthetics, and carefully took us through the, er, painfully slow development of methods of pain-relief, from nitrous oxide and opium to chloroform. The second, ‘Marie Curie, the discovery of radium and its early use in medical therapy’, outlined the discovery of radiation, and the lives and research of Poland-born Marie Curie and her husband Pierre, and then explained the medical uses to which radium has been put, from the Finsen Lamp, used to clear skin lesions caused by lupus, to methods of applying radium to tumours deep in the body and the flourishing of radium hospitals across Europe. Alan then, to much wincing and a little giggling, showed us pictures of pseudo-medical products, from condoms to chocolate, claiming to harness the ‘energy’ of radium for general and specific health benefits, all of them spurious, and some of them harmful. Radioactive thermal underwear, drinks coasters and cigarette holders were some of the other highlights. 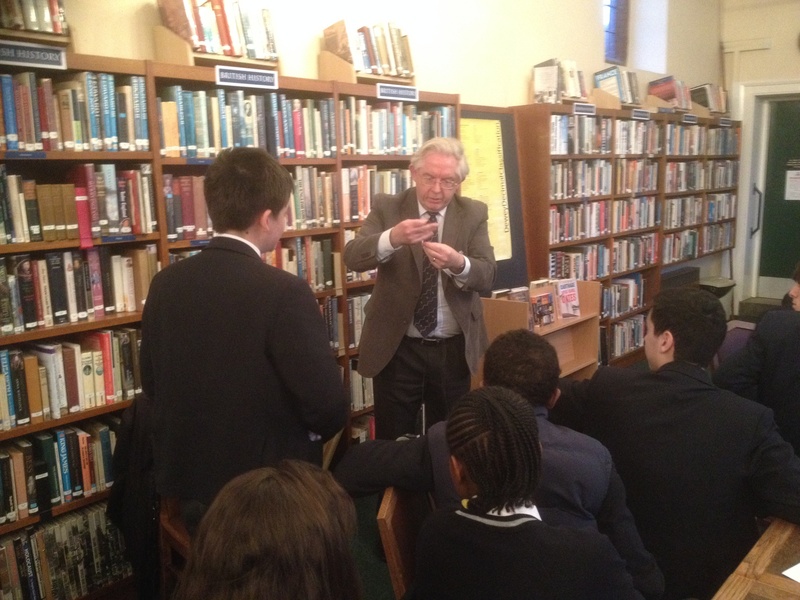 Throughout Alan, for a long time now Chair of the Royal Society of Chemistry’s Historical Group, held his audience fully engaged, and inspired some excellent questions. We hope to see him again. Kathryn McDermott from the Open University’s Department of Physical Sciences gave us a brilliant and whistle-stop tour of meteors, meteoroids and meteorites, of the basic categories, where they come from, what their composition is, and how they are used to research the geology of the solar system and the possibiliies of extra-terrestrial life. We then had a chance to touch and pick up some samples, often very heavy because of their iron content, and could see formations like the fusion crust (see photo), formed by melting as the rock fell through our atmosphere. There was even a small piece from Mars! Professor Alan Dronsfield, from the University of Derby, explained in an entertaining and clear lecture how in WW1 the new methods used in the industrial production of fertilisers and explosives were more important to the outcome of the war (and to the numbers of killed and wounded) than the use of the better known poison gases. The British thought they could stop the Germans producing both fertilizers and explosives by blockading their imports of sodium nitrate “saltpetre” from Chile, but were ignorant of the newer developments in the German chemical industry. The process invented by Fritz Haber in 1909 to make ammonia from nitrogen in the air and hydrogen from water provided a cheap and inexhaustible route both to nitrate fertilizers and the recently invented “high” explosives like TNT. We learnt how they did this, and also witnessed a live demonstration of dyeing silk with madder. It was the 19th-century work on this dyestuff (crucially, carried out in Berlin), and the manufacture of a cheap synthetic version, that switched the dyestuffs industry from the UK to Germany, which then became the focus of the world’s production and, shortly later, a dynamic chemical industry that made possible the manufacture of high explosives on a huge scale. Alan’s talk was a perfect example of how two subjects can inform each other; it was also made local with photographs of the school’s WW1 memorial plaques in the chapel, and ended with images of the war accompanied by Barber’s Adagio for Strings.